What Is Community Paramedicine/Mobile Intergrated Healthcare? 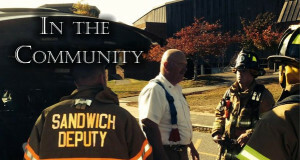 This is a new concept for this area of the country and will fall under the Sandwich Fire Department Office of Community Risk Reduction. Personnel would be out in the community providing blood pressure clinics, home safety checks, fall prevention programs as a few examples. We would be working with other town entities to make sure the residents and visitors to Sandwich are safe.